India on February 1 announced an allocation of 3,18,931.22 Crore ($44.63 Billion) for Defence in its interim budget for 2019-20, which was presented to Parliament by the officiating Finance Minister Piyush Goyal in New Delhi ahead of the general elections in April-May this year. This marks a modest 6.87 per cent increase in the revised estimates for Defence spending in 2018-19. According to the revised estimates for the financial year 2018-19, Defence spending by India exceeded the Budgeted allocation of 2,95,511.41 Crore by 2,907.31 Crore. 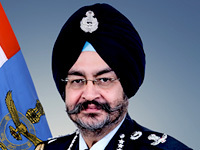 Excluding pensions, the Defence Outlay accounts for 8 per cent of the total budgeted expenditure of 27,84,200 Crore by the Government of India. The Defence spend percentage is down from the 2018-19 figure of 12.10 per cent. Of the 3,18,931.22 Crore Outlay, 2,10,682.42 Cr is budgeted for Revenue expenditure and 1,08,248.80 Cr for Capital expenditure, which includes modernisation and purchase of new weapon systems. This translates into a 34:66 break up into modernisation funds and recurring expenses. 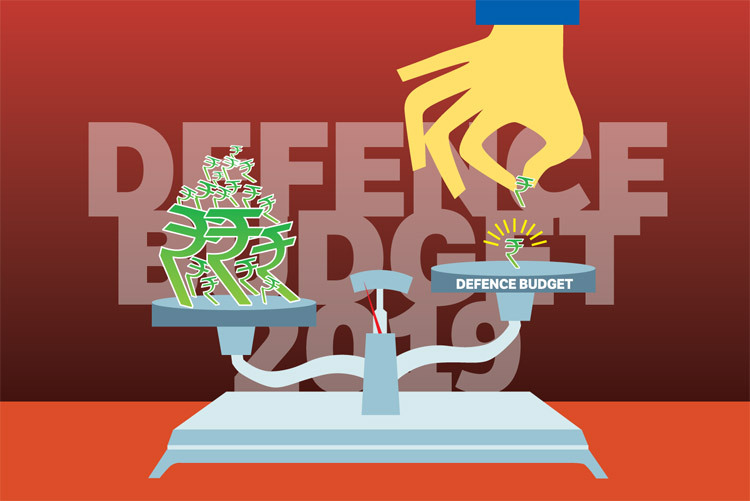 "The Defence budget has exceeded 300,000 crore for the first time ever," Finance Minister Goyal said in his Budget speech, adding that the government would provide additional funds for Defence if needed. An additional outlay of 1,12,079.57 Crore ($15.68 Billion) has been made for Defence pensions for 2019-20. Minister Goyal also said 35,000 Crore has already been disbursed for military veterans under One Rank One Pension (OROP) scheme. A substantial hike in military service pay has been announced he added.